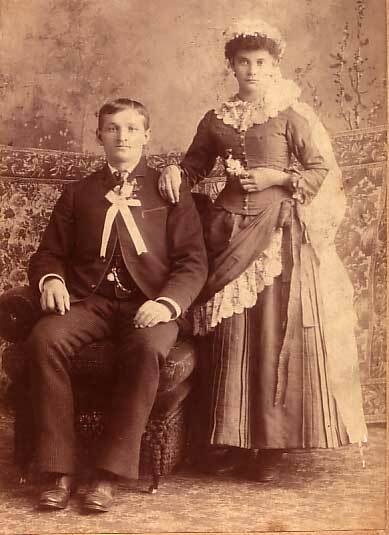 This being my 32nd wedding anniversary, I’ll provide some information on what a wedding for our ancestors in the 1800s might have been. 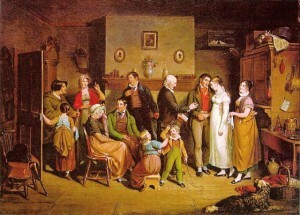 Most weddings were held in a private home – the bride’s family or groom’s family or even a friend’s home. About the 1820’s church weddings started becoming more popular, but home weddings continued to remain popular through the rest of the 1800s. The invitations to a well-to-do family hosting the wedding were quite fancy starting in the 1830s. 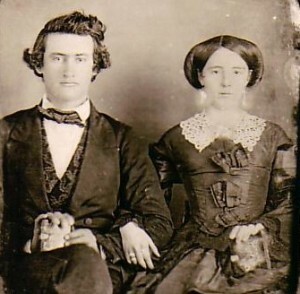 By the mid-1800s middle-class families began sending out nice wedding invitations to the guests. However, the number of people invited remained small because the ceremony was in a house, so most invites went out only 1-2 weeks for the wedding. Most weddings were held either on a Tuesday, Wednesday or Thursday, since many of the ministers traveled a circuit (going to different towns) or had other duties in the community to perform. 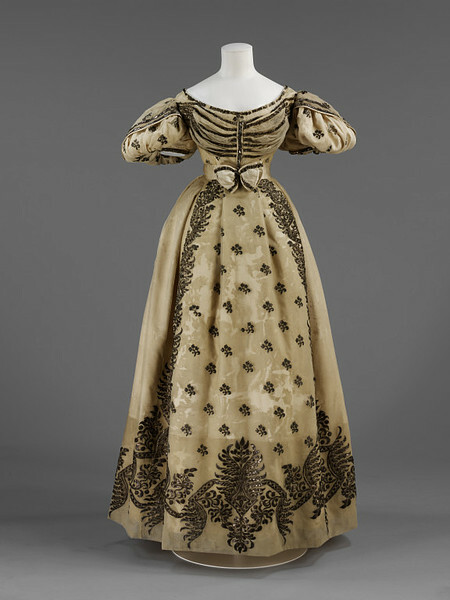 The bride’s wedding dress in the early 1800s would be the finest dress the bride owned or could purchase, but generally was a colorful dress. Sometimes a bit of lace was added to dress it up. By 1850s the wearing of a white wedding dress became popular and the adding of a veil. 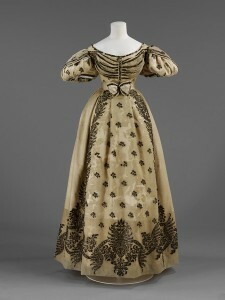 However, many brides continued with using their finest dress that could be used later for parties. The bridesmaids and groomsmen started becoming common after the 1820s. Most of the time the number ranged from one or two bridesmaids and groomsmen, but there could have several depending on the wealth of the family. A wedding ring for the bride does date back to early 1800, but not an engagement ring. The ring for a wedding was just a plain band of gold or silver. The giving of an engagement ring started in the last half of the 1800s. After the wedding ceremony there usually was a party for the invited guests. Having a wedding cake started in the 1820s and became very popular after 1880s. A couple’s honeymoon was usually referred to as a bridal tour, going to locations outside their community, possible to visit relatives who could not attend the wedding. However in the first half of the 1800s it wasn’t just the newly married couple, but many times the friends and close relatives came along on the bridal tour. By the 1860s and beyond the honeymoon was more for just the couple to travel. Photos: Wedding dress of 1820s, weddings at home, wedding of John Ely & Mary Lane in 1856 and a couple in the 1880s.